After having a hectic day, a long bath in your hot tub is what you need; however, the long bath does not always seem to show positive outcomes because of the rashes that you get. The hot tub rashes cannot be results after having a relaxing bath because they put you into the ultimate stressful condition again. However, you should not fret too much as medical science has improved for good to help each living person out from the most critical problems. What are Hot Tub Rashes? If you prefer to indulge yourself in long warm baths hours after hours, you may be familiar with the rashes that often appear on your skin. If you have not heard of it, you should not worry further because it is a normal skin condition that is caused due to soaking in adulterated water. The germs of the rashes mainly populate in warm water and even the growth of the germs can be seen in swimmer’s ear, too. A pustule and bumpy red rashes often appear due to the growing infection in contaminated water which is also primary signs of the rashes. Have You Ever Noticed Hot Tub Rashes? 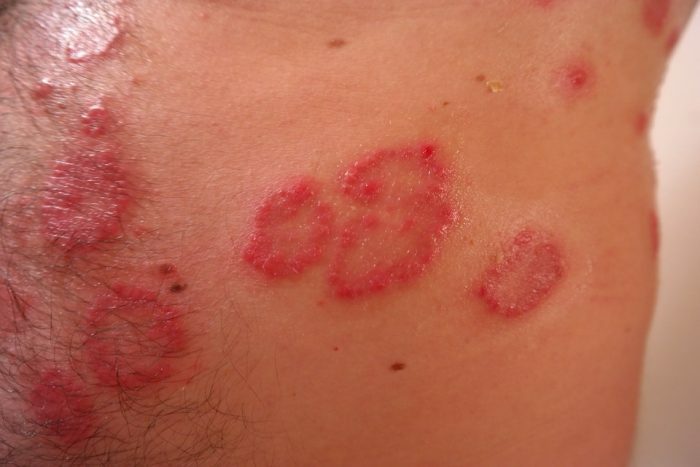 These kinds of rashes are generally dermatitis that has become visible on human skin due to infections. You can witness certain symptoms; however, it is not necessary that after facing all the symptoms, you must visit a doctor. Itchiness can lead to bumpy rashes and the redness of the spots can increase with the course of time. You can notice pus filled with blisters that mainly grow around your hair follicles. The areas of your body that is usually covered with a swimsuit, can show worse outcomes. Other severe symptoms of the condition give rise to further complexities which include tender or inflamed breasts, upper respiratory tract infections and fever. In addition to the context, people who have weak immune system and children are usually at higher risk. The skin condition is primarily the result of the infection that is caused due to Pseudomonas aeruginosa. It is one of the most common germs found in soil and water that cannot be seen with your naked eyes. Moreover, the germ has the capability of surviving in hot water which is even chlorinated. Does the Infection Spread all over Your Body? If water is infected with the microorganism, you are susceptible to suffer from the skin condition. Especially, the longer your skin is exposed to water, the condition is susceptible to get worse. Generally, hot tub rashes start appearing if you dip into poorly maintained hot tubs for a long time. However, you can get the condition from the spa or contaminated lakes as well. You may start seeing the signs of hot tub rashes after days of indulging yourself in a hot bath. If one undertakes effective measures and follow the advice of medical professionals, he/she can see the rashes disappear within few days. Nonetheless, it is always better to take medical help when your rashes start to last longer than usual. People facing problems with hot tub rashes must not lose their mind because the condition can be treated easily. Usually, it is seen that most of the cases of rashes can resolve within two weeks. Moreover, often the cases take less than fourteen days to get resolved. Home remedies are there to help patients to get relief from the severe symptoms that can enhance the power of healing faster. The medical professionals can help you in treating your condition and can recommend you to rely on antibiotic medical treatment. Nonetheless, whatever the course or its time may be, you should follow the doses of medications prescribed and finish the course of medicine accordingly. In case, you do not suffer from the symptoms anymore, you should not leave following the course in the middle. There are chances of developing complex conditions of hot tub rashes and the most complicated condition of it is the abscess. An abscess is generally an infected accumulation of pus. However, there is no need to worry because abscess can be treated only if you follow the doctor’s prescription thoroughly. The rashes do not generally leave scars behind and if it is not picked, the affected body part can start healing sooner. Can You Get Rid of Hot Tub Rashes? The components that are present in the tub are the prime factors of the skin condition. If your or the tub operator makes use of proper water sanitizer and pH level is accurately balance, there should not be any further risk factors for the skin condition. In order to ensure that the tub condition is in proper condition, you need to check whether tub after two to four ppm of four to six parts per million bromine. Checking pH level on regular basis can be effective and you should keep in mind that the level must be between 7.2 to 7.8. It is highly recommended that you run the test frequently and if there are many people using the tub water, the pH level must be checked more than usual. After getting out of the pool, you should clean yourself with soap so that you can nip the bud of infection at the earliest stage. In addition to the context, you should pay proper attention to the places that are generally covered with a swimsuit. 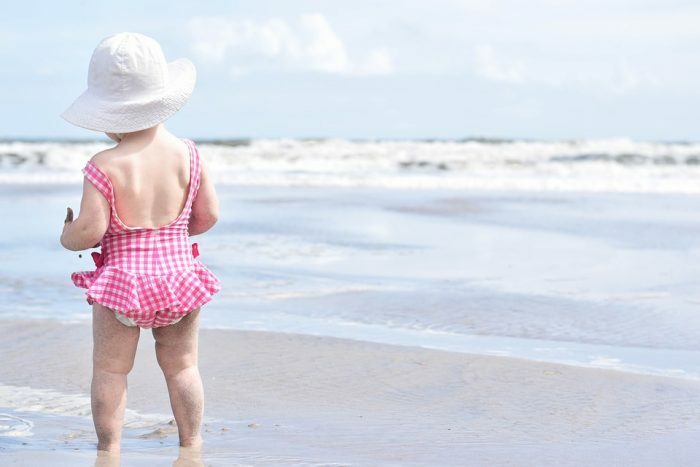 Another precaution you should take is to clean the swimsuit after using it so that you do not develop any mind of skin condition from the suit itself. The significant thing that you need to keep in mind is that you must start scratching the spots no matter how itchy it gets. Additionally, you should be careful about not breaking the pustules. With the course of time, itchiness can get away and you should not worry too much because the condition cannot get as critical as chicken pox. There is no way of infecting anyone on being in the tub with the itchy hot tub rashes. Only if one stays in polluted and warm water for long period can get infected by the germ. After getting infected, not poking the pus or staying out of the tub can only be effective for you. How can You Minimise Itchiness? The worst part of getting infected with the germ is the itchy part which you can minimise by following few self-preventive techniques. Shaving can make things worse because in the process follicles can get infected. Additionally, the whole skin condition starts deteriorating rapidly. Scratching may sound when you the body parts become super itchy; however, you must avoid doing so because it can only make things worse. The infection can grow further and there might be scars visible on your skin. You can choose to make a warm compress with the help clean and hygienic washcloth and soak into warm water along with white vinegar. By pressing the compress on the rashes for around ten times in each turn, you can see visible results. You can repeat the process for three to six times every day. If you notice hot tub rashes on your beard or scalp, it is better to shampoo that has a component like propylene glycol or selenium. The rashes usually go away naturally within two to seven days only if you have not made thing worse by taking wrong procedures or scratching. However, it is better to pay a visit to the dermatologist who can prescribe effective antibiotics or antibacterial lotion that can treat the rashes in a jiffy. Apart from getting temporary relief from the warm compress, there are other ways that you can for speeding up the healing process. Patients can start the treatment procedure at home as no rocket science is involved. It is often seen that anti-itching lotions can prevent the discomfort to some extent. In addition to the context, use of antibacterial cream such as Neosporin can also offer relief. You can apply apple cider vinegar in the infected area directly. Soaking in a bath which contains apple cider vinegar composition can be affected by treating the hot tub rashes. 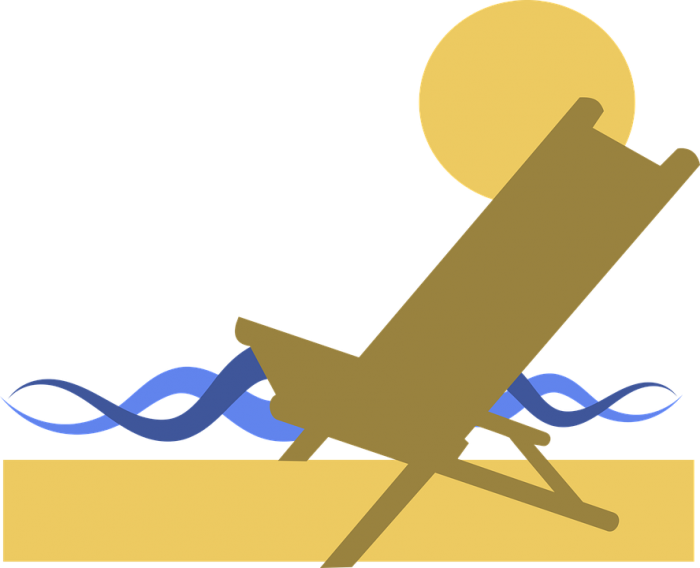 People can avoid sharing towels, razors, washcloths and other personal care products for undertaking further preventive measures. Topical antibiotics which are used to treat the Staphylococcal infection can help you with the rashes. Additionally, oral antibiotics can provide temporary relief. You should not overuse makeup or skin oil because it has the potential to trap bacterial elements in pores. As it is one of the known conditions among people, a medical professional can detect the reason only by looking at it. Moreover, there is no need for undergoing tests for identifying further whether you have got the condition due to Pseudomonas aeruginosa. 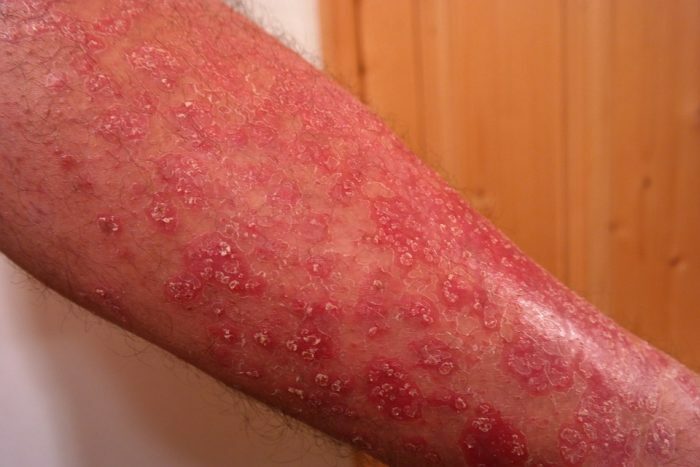 For traditional treatment, the protocol does not have the potential to clear the rash and a sample of skin might be considered to check the condition further. The germ does not have the capability to survive in healthy skin; hence, it starts resolving within ten days. Rashes can leave marks behind but over the course of time, it also can disappear. Home remedies are proven to be helpful; however, consultation with the medical professional on this matter can be helpful. Water compress is known to offer relief from excruciating pain and topical antibacterial ointments like Polymyxin B spray and Gentamicin cream can provide relief to the patients from the hot tub rashes. For treating resistance and widespread rashes, ciprofloxacin, the oral antibiotic is effective. The most effective way is to stay out of the risk factors of hot tub rashes is to use the water tubs that you know are cleaned and maintained on a regular a basis. This refers to the fact there is balanced pH level in the tub. Additionally, chlorine and acid levels are regulated with the help of proper water purification device. However, you should keep one thing in mind that water of hot tub has more chlorine in comparison to the level of chlorine found in pools. Exposure of skin around bacteria cannot be prevented in every step; however, you can take precautions beforehand. You should avoid removing or shaving hair after getting out of the hot tub. Nonetheless, you can opt for waxing to be done only one day. After getting out of the tub, you must not sit in the wet swimsuit for a long period as it increases the risks of hot tub rashes. It is highly recommended to take a shower with mild soap and water. Wearing clean swimsuit is suggested around the hot tub because there is always a chance of re-infecting yourself with the germs. It has already been established that hot tub rashes take place due to poorly maintained water in the hot tubs or swimming pools. Before you dip yourself in water for an ultimate relaxing session, you may ask the hot tub operator certain questions in order to save yourself from the critical issue. You can ask the operator about the rating it got from the last hot tub inspection and whether pH level of water has been checked twice in each day. Additionally, it is better to get knowledge of whether the authority checks pH and disinfectant levels when the pool or tub is used by many people frequently. You can raise questions regarding maintenance which includes the authority has an action plan on replacing hot tub water or whether they follow the recommendations suggested by the manufacturer on keeping the tub in mint condition. Now you know that there is no way, you should become worried about the bumpy red signs or pustules that appear after a long bath because it is easy to treat the skin condition. Moreover, the advancement in medical treatment has paved convenient paths for the doctors treating the physical conditions within a short period along with showing a great level of efficiency.